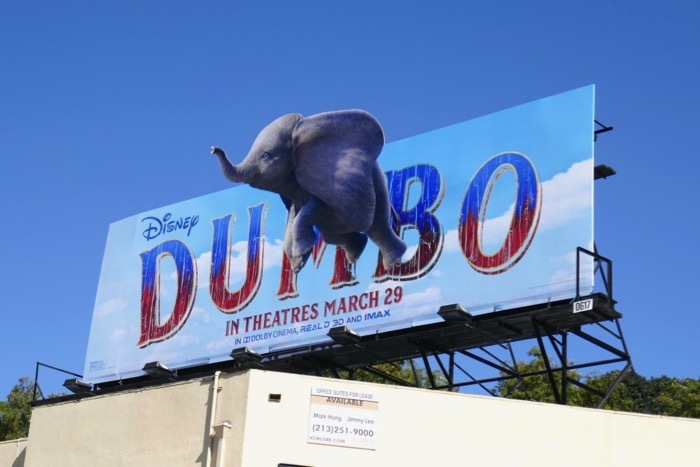 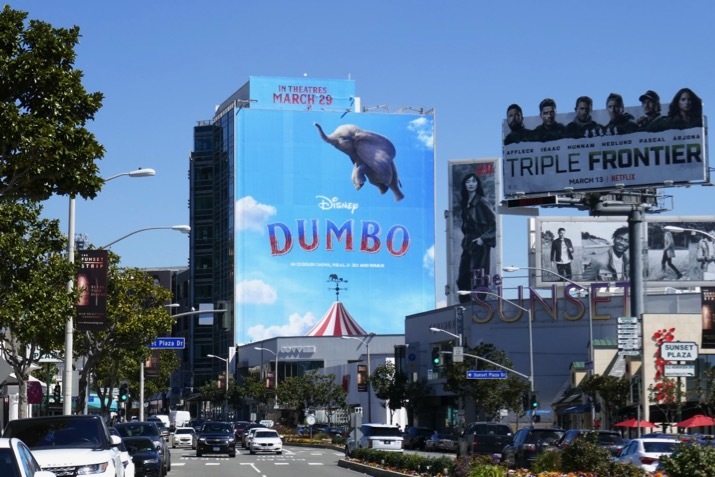 This March Disney's beloved animated movie Dumbo is being brought to life in live-action by director Tim Burton. 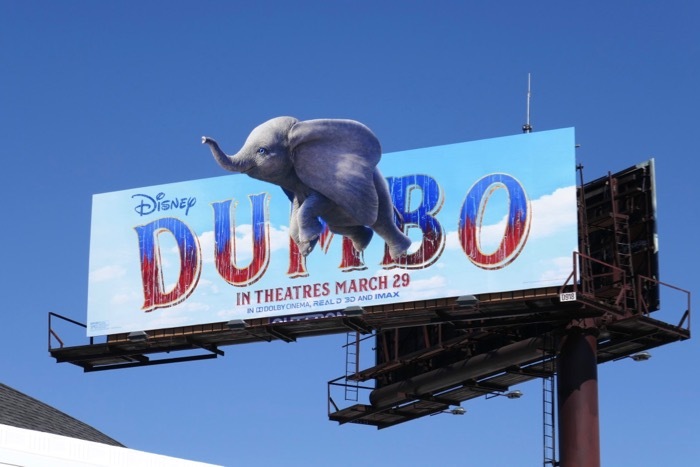 This adventure under the big top featuring the baby elephant with over-sized ears is based on the original 1941 animated feature and inspired by the story that film was based on by Helen Aberson and Harold Pearl. 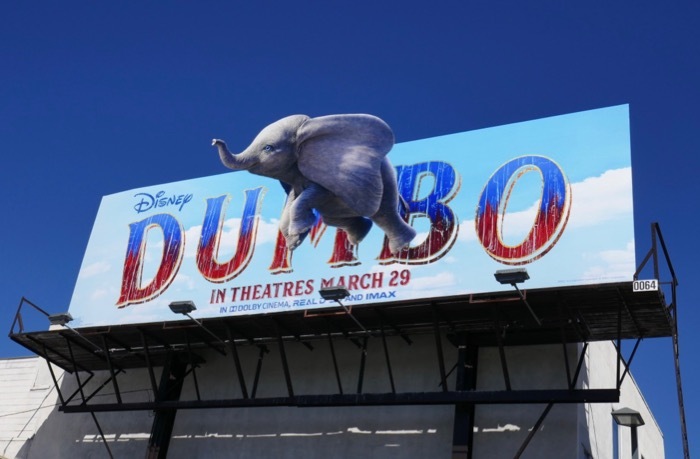 Joining the flying elephant at the circus are the likes of Danny DeVito, Michael Keaton, Colin Farrell, Eva Green and Alan Arkin. 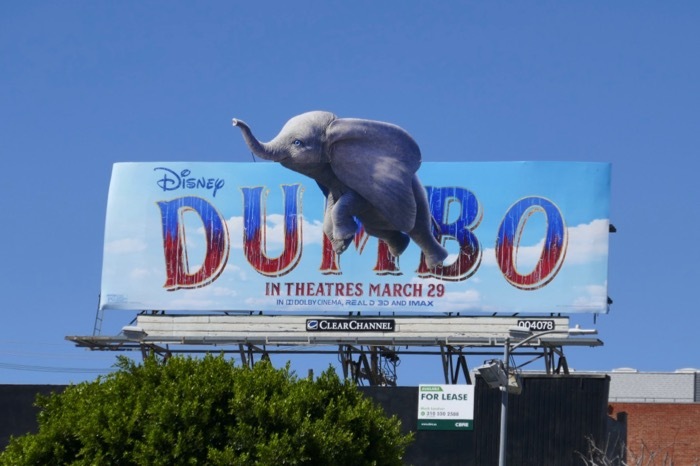 In this movie remake the pachyderm with the floppy ears (magically brought to life by CGI) doesn't talk, but we're sure he'll still impress with his aerial skills and become the star of the show. 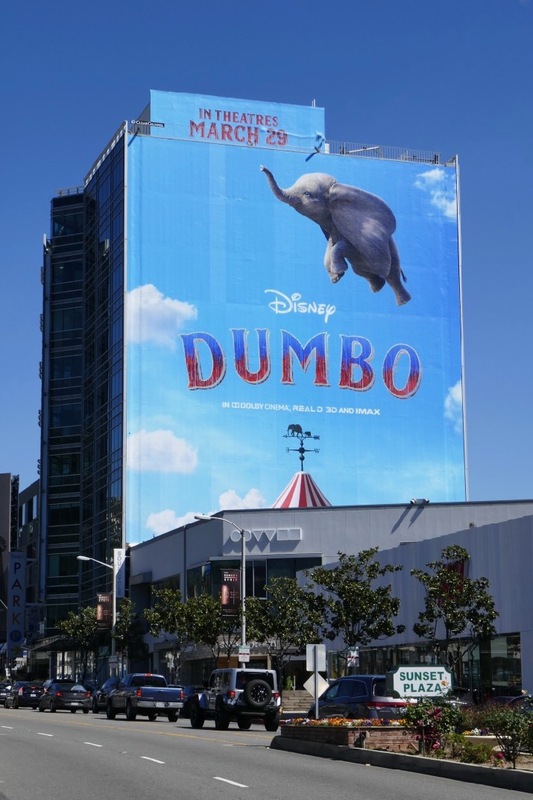 These super cute Disney billboards were spotted along the Sunset Strip, Beverly Boulevard, La Brea Avenue and Pico Boulevard from March 12 to March 17, 2019. 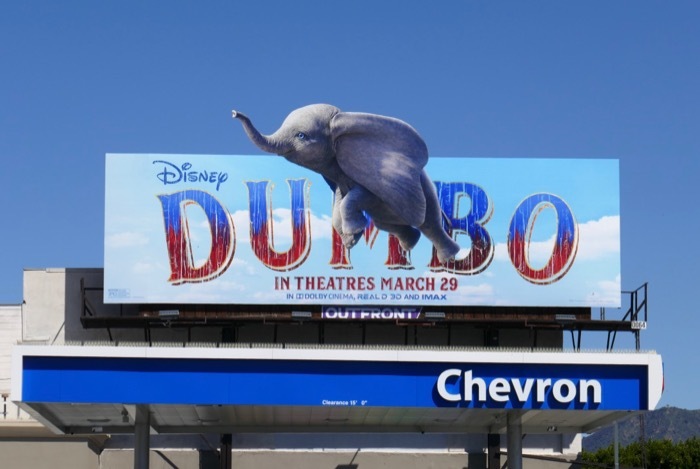 For more elephant-themed ad creatives, be sure to also check out these documentary billboards for The Ivory Game. 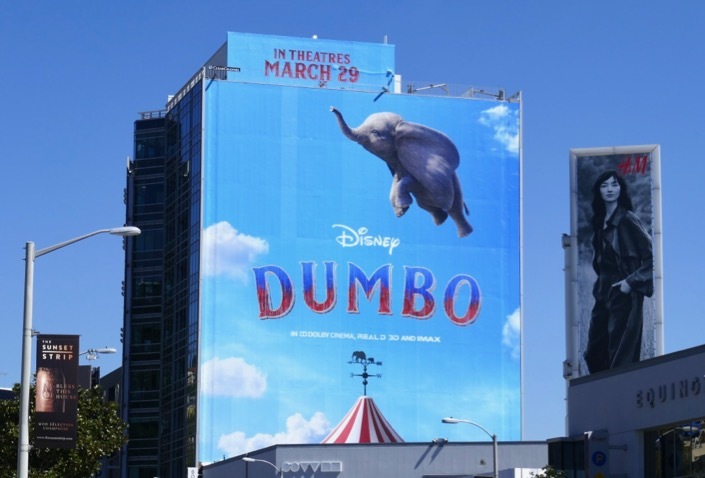 Meanwhile for more animation to live-action Disney adaptations, make sure you also take a look at these Cinderella movie billboards, these billboards for The Jungle Book, these Maleficent movie billboards and these Beauty and the Beast billboards. 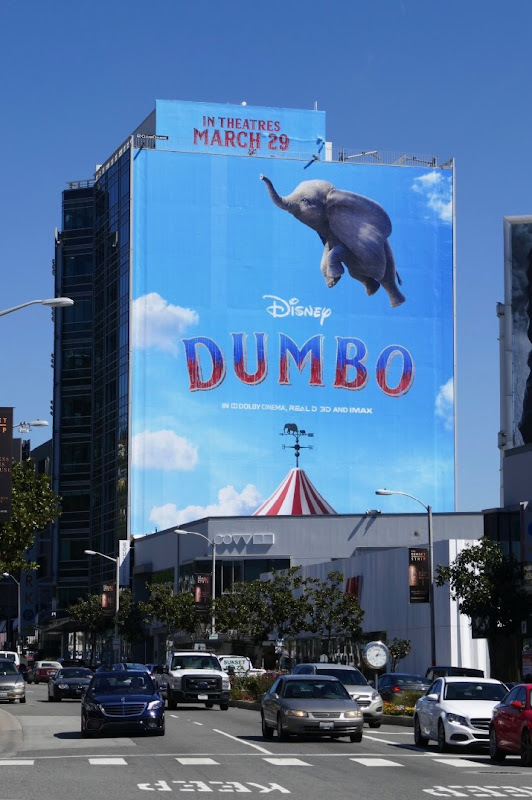 Plus you won't have to wait that long for the next Disney live-action reimagining as Aladdin and The Lion King are also coming to the big screen later this spring and summer. 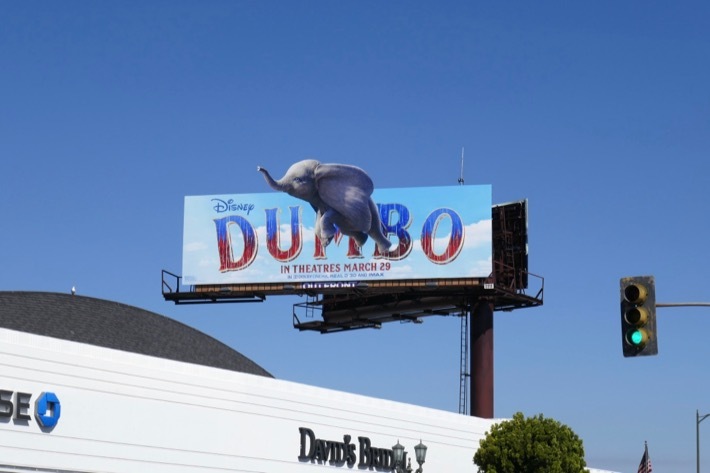 Here's hoping these adorable movie billboards give you a lift and leave you flying high into the weekend.